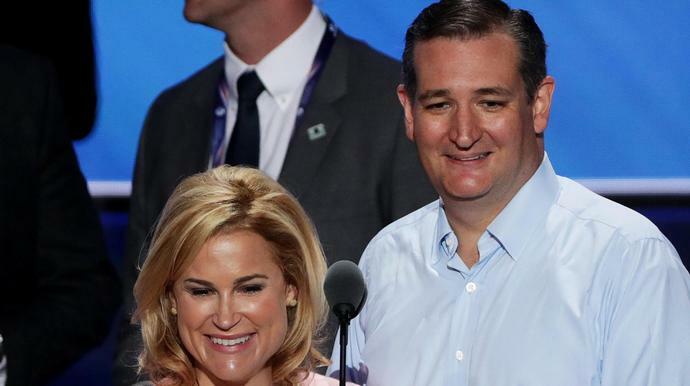 Heidi Cruz was mocked on Twitter for appearing to suggest that she and husband Sen. Ted Cruz (R-Texas) couldn't afford a second home because his lawmaker salary is only $174,000 per year. Cruz, a Goldman Sachs managing director, said in an interview with The Atlantic that she was working 70-hour weeks as the family's "primary breadwinner." She said she nevertheless was supportive and "mission-driven" on what her spouse is "accomplishing." "I really hope he wins his re-election," she said of her husband, who is challenged in the November midterms by Democrat Beto O'Rourke. But the couple would not be "buying a second home anytime soon," Cruz added in the piece published Thursday. Her comment was dubbed "tone-deaf" by some people on social media. Her husband's Senate wage alone is almost four times the $46,000 U.S. average. Goldman Sachs managing directors likely earn more than $500,000, including bonus, according to the jobs site Glassdoor. Read the full interview in The Atlantic here.